Artistic integrity over commercial success has been a dilemma for musicians for as long as the pioneering entrepreneurs found a way of taking music to the masses. While the former is often the route to greater credibility in industry circles, it must be a brave decision for one to shun the limelight and all the trappings derived from commercial success. English rock/blues guitarist Alvin Lee is one performer that took this brave decision in 1972 as the knock-on effects of a Woodstock performance elevated his band Ten Year After into the rock arenas of the world and in his own perception, at the mercy of the industry sharks. His breakaway album, aptly titled ON THE ROAD TO FREEDOM, started an alternative lower key career that while still colluding with some of the rock icons of the day including Stevie Winwood and Ronnie Wood, left Lee short of similar acclaim in the eyes of the ordinary public. Many years later and now in the twilight of his career, Lee has recorded a philosophical and reflective album, appropriately titled STILL ON THE ROAD TO FREEDOM that in some way has re-assured him that the correct decision was made all those years ago. For those new to the work of Alvin Lee, and there are probably many, this thirteen track self written recording is an excellent example of accomplished roots rock and ample evidence of an artist being true to himself and preserving his artistic credibility. Over the course of three quarters of an hour you will immerse yourself into an abundance of guitar driven songs that leave you in no doubt that you have just spent time in the presence of a master. The album bursts into life with an opening track named after the title of the album ‘Still on the Road to Freedom’ and the rock overtures of this song set the scene for a body of work that will eventually incorporate many styles of guitar inspired music including acoustic, rock ‘n roll, blues as well as straight down the middle pure rock. A couple of tracks into the album you have the very 60’s feel to the song ‘Midnight Creeper’ with its Hammond organ contribution, which epitomises the steady rise of Lee’s standing during this critical decade in the evolution of rock music. One of the album’s personal favourite tracks is the blues infused harmonica laced sound on ‘Save My Stuff’, a style Lee returns to later in ‘Blues Got Me So Bad’ . Another highlight of the record is ‘I’m A Lucky Man’, a rock n’ roll flavoured number that illustrates the influences Lee must have had in his formative years of listening and being inspired by popular music. On a couple occasions, the vocals of Lee take a back seat as he lets his guitar skills have the centre stage to themselves with a pair of instrumentals. ‘Songs of the Red Rock Mountain’ and ‘Down Line Rock’ are the two aforementioned tracks with the former a more tranquil piece that glides you through its listening. The range of guitar sounds expands further with the acoustic nature of ‘Walk On, Walk Tall’. To demonstrate the reflective side of this album, there are echoes of Woodstock in ‘Back In ‘69’ with its references to protest songs, both past and present, and Lee chooses to conclude the collection of songs, which have been four years in the compilation, with a version of the old Ten Year After song ‘Love Like A Man 2’. The sleeve notes which Lee has penned suggest a satisfaction in how his career has panned out and might just serve as an inspiration to an artist today which may be in the fortunate position to face the same choice he had to make forty years ago. 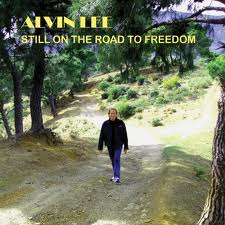 So even if you are a latecomer to the work of Alvin Lee, check this album out for yourself and see an example of an artist preserving their own artistic integrity.